October is a busy time of year, isn’t it? Not only do we have Thanksgiving to celebrate (for us Canadians, anyway), but also Halloween! We get turkey and treats in the same month. How cool is that? However, we must remember that not everyone is enthusiastic about this time of the year. In this case, we’re talking about our feline friends. Halloween may mean trick-or-treating to some, but Halloween for your cat could mean being alarmed by the sound of fireworks going off, fake cobwebs to get tangled in, and even treats that can make them sick. Not to mention just because you think kitty looks adorable in a witch’s hat, that doesn’t mean your kitty will agree! There are all sorts of problems you may not realize can be a hazard to your kitty as well as to you, the owner, on this holiday. That’s why we’re here to help. If you want to keep your kitty happy and safe this Halloween, here are our top prevention tips to do just that. If your door is constantly opening and closing as you give out candy to trick-or-treaters, your cat may feel tempted to escape from your home. On a night when lots of people in costume are walking around and traffic grows heavier at night, it can be frightening to find out your cat has run away from home—and in the dark, it’s almost impossible to find them. Solution: Prevent your kitty from having the chance to escape by keeping them in a room away from the front door; a bedroom should do fine. This can be their haven for the evening, complete with food, water, a clean litter box, toys, and bedding. It’s a good idea as well to check up on your kitty occasionally while they’re shut inside of the room so they don’t feel too lonely or unhappy. If you know your cat is definitely going to want to escape, have them wear a collar with identification or get a microchip or a tattoo placed on your cat by your veterinarian. If your cat escaping is a huge concern, consider overnight cat boarding as an option instead, or not indulging in trick or treating. Halloween is fun for everyone unless loud noises are a problem…and for cats, that’s a big one! Noise phobia is exactly what you think it is: the fear of loud noises. Cats are exceptionally sensitive to sound given how excellent their hearing can be. If your cat has noise phobia, they may reveal the following signs: excessive pacing, shivering, hiding, and even drooling in some cases. If you’re having guests over for a Halloween party, too many people and noises in the room will definitely be too much for kitty to handle (especially if your guests love cats!). Solution: Remember that room we mentioned before? Try giving your kitty a specific box or a designated area where they can hide in. Cats prefer to be as far away from stressful situations and loud sounds as possible, and tend to go into hiding when they’re stressed, in pain, or scared. If their noise phobia is especially bad, try giving them other solutions such as a natural pheromone collar or spray, anti-anxiety medication prescribed by your veterinarian, and of course a lot of TLC! In the case of guests, it may be disappointing to let them know kitty won’t be joining them. Of course it’s okay to let your kitty socialize or let them come out of the room if there are a few people, but again, keep an eye on them in case your guests leave the front door open or if they’re getting overly anxious. Don’t force your kitty to be social if they don’t want to be. When all the excitement has died down, that’s when you can let your cat out of the room to roam around as usual. We love kitties of all sizes and colours; black cats are no exception! The black cat is one of many iconic Halloween symbols; in pictures you either see them riding on a broomstick with a witch or lying next to a jack ‘o lantern. Unfortunately black cats still have quite the reputation for being perceived as bad luck, and even the sweetest, gentlest black cat may fall victim to pranks being pulled on them, or worse. If a black cat ends up escaping out of the house, they’re as good as invisible outside at night, making them prone to all sorts of dangers. Solution: Like with any cat, if your cat’s coat is black or dark-coloured, you should keep them situated in a room in your home safe from the outside. You can also make sure their collar is bright and colourful (neon yellow would work best, or a reflective neon orange if you want to be festive and safe!) so that they are more visible in the event they do escape outside. Again, a microchip and ID will work wonders if your black cat gets lost. Solution: Try getting creative with your decorations this year by skipping the cotton cobwebs and go for rubber instead; avoid them altogether if your kitty is prone to chewing on certain types of objects as chewing on rubber would be just as big of a hazard. For your jack o’ lantern, ditch the candle this time and use an LED light you can find at the store. If you simply cannot live without decorations, make sure they are all out of your cat’s reach and away from their climbable perches. You can distract kitty from any decoration by giving them their regular toys. Treats that are okay for kids and adults on Halloween night are more like tricks if your kitty gets hold of them! Plastic wrap has that crinkly sound that cats can’t resist since it’s also the sound accompanying their bag of cat treats. Batting those wrappers around could lead to swallowing them by accident, and that’s not something you want to deal with! And you may think dogs are the only ones who go after chocolate, but unfortunately so too do some cats, and it’s just as toxic to either pet. Solution: Basic supervision should be enough to deter your kitty from nibbling on snacks that aren’t good for them. If you have kids, teach them about the sorts of treats that are good versus not good for their cat so in the event they want to spoil kitty, they won’t give them their own treats by accident! Store away any treats wrapped in plastic in the cupboard that you think your cat will be tempted to snack on. Keep any treats for trick-or-treaters sealed; a mixing bowl with a lid should work just fine. As for good treats, only offer the kind you know are good for kitty such as dental chews or other vet-recommended treats. Like we said before, just because a witch’s hat looks cute in photo ops doesn’t mean your kitty will agree with you. Trying to dress them in costume may work for some kitties, but it all really depends on their personality or comfort level with foreign objects being placed on them. Most of the time once you put a hat on their head, they will do everything in their power to get it off of them! And if you’re thinking of dressing them up as ghosts, please don’t; not all kitties like being wrapped in sheets or towels. The idea may seem cute, but in actuality not being able to see is terrifying to them. Solution: Ditch the costume ideas altogether if your cat is uncomfortable with wearing one. Opt instead for a festive collar. That way your cat will be able to see where they’re going and they won’t be hindered from moving around. A bowtie is okay (so long as it’s not too tight) and can make for some cute photos! Halloween for your cat should be fun, not stressful. We hope our prevention tips ensure you both have a great time. Happy Halloween! Creative Commons Attribution: Permission is granted to repost this article in its entirety with credit to Hastings Veterinary Clinic and a clickable link back to this page. Halloween is almost here! Costumes, parties, and plans for the day are likely already in place, including costumes for our furry friends. It is becoming quite popular to dress up your dog and the occasional cat in addition to the traditional partying and trick-or-treating on Halloween night. It is an enjoyable time and being socially inclined, dogs (and the odd cat) are happy to be involved in the fun. New commercials on TV appear to encourage pets go out trick-or-treating with kids! Again, all fun and enjoyment with the right pet, but remember there are pets (as are humans) that may not be lining up to be part of the dressing up or socialization. Pets can get anxiety from firecrackers (noise phobia) – skipping fireworks or boarding your pet in a safe, quiet kennel for fireworks nights are ideas to consider. Taking your pet for trick-or-treating may increase their chances of ingesting chocolate or candy, which can be toxic to them. Adult supervision for both your child and your pet is advised. If trick-or-treating with pets, putting a leash on should help keep them safe. Strangers can be wary of unknown pets, no matter how friendly your pooch is! If you are giving out candy to kids or will have many visitors, ensure your pet will not escape with the frequently opening front door. Once safety for everyone is taken in to account, all you have to decide is if your pet will be a superhero, a hot dog, a prisoner, or will simply skip the dressing up! Veterinary Dermatologist & Practice Owner at Hastings Veterinary Hospital, Burnaby. On our recent summer vacation, my wife and I met a lot of animal lovers, strangers, and relatives included. It was mostly a discussion on the happiness pets brings to our lives, how each is different, and an odd medical opinion on their pet. We were fairly taken aback when one of our relatives mentioned to my wife (also a veterinarian) that she had given her injured kitten Rosie, a dose Diclofenac (a nonsteroidal anti-inflammatory drug) to help with pain management. We both got progressively more concerned as she went on to tell us that the kitten has been very tired and had inappetance (she wasn’t eating) since. Very quickly, our primary concern had become the dose of diclofenac, and what potential damage it may have caused to her kidneys. Was Rosie not acting lively due to discomfort from pain or was it due to adverse effects of human painkillers given to cats? 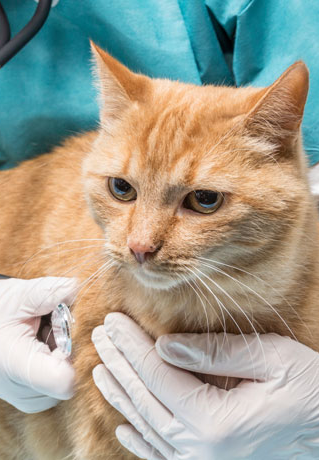 Did you know that indiscriminate use of pain medications have huge potential to cause GI ulcers, kidney damage and blood abnormalities in cats? This episode helped reiterate the fact that there are so many things we may do (or not do!) for our pets that are actually harmful to them, without realizing the true potential of it. Thankfully, Rosie did very well within a few days of rehydrating her body and a lot of loving care from her family. Leaving stringy toys and hairbands unmonitored in the house – can cause cats to accidentally swallow them and lead to serious intestinal obstructions. Using leftover antibiotics from before – is never ok, as you may not know the adequate dose or length of course needed. Also, as different antibiotics target different bugs it may not be a good antibiotic choice. Such indiscriminate use can lead to resistant infections and nasty superbugs. Allowing an outdoor lifestyle, without taking precautions for outdoor hazards such as fleas, worms, and viral infections (feline immunodeficiency virus and feline leukemia virus) – be sure to keep your outdoor cat up to date on outdoor cat vaccines, deworming, and monthly flea prevention year-round. Feeding dry food (kibble) exclusively – this was considered ideal for cats till a few years back, but it is now recognized that a large portion of a cats’ diet should be canned or soft moist food. Believing that cats are not perturbed by environmental changes – on the contrary, cats are very sensitive to changes in their routine or environment. We should always consider and pursue environmental enrichment for these sensitive critters when it is time for a move, introduction of a new pet, upcoming childbirth, etc. Veterinarian at Hastings Veterinary Clinic, Burnaby. It is the festive season—the season of goodwill and reflection alongside the busy schedule of reaching out to family and friends. It is also a time when we can have the pleasure of sharing a little extra time with our pets or companion animals. After all, they have been there for us throughout the year, tough times and good. And they will be by our sides during the coming year as well. So what can be the perfect gift for our pet during this gift-giving time of the year? I have always had a tough time bringing gifts home for my cat and dog. Dogs crave company and that is all they look forward to while cats take all your efforts for granted! After all, cats are the real homeowners! It is such traits in our pets that would help select the ideal gift or treat for our pets. Sweaters for the cold days, some designer bling (neck collars, leashes, etc. ), their favorite treat, or a day devoted to spoiling them are just a few options. Every pet is different as every person is, and knowing what would be best for the individual pet is the key to pet gift-giving. What we can surely count on is that such a gesture would be much appreciated. Do not bring plants toxic to pets into the house. Party food can be calorie-rich and is not ideal for pets to consume. Make sure that all pets are accounted for at the end of each day as outdoor cats can suffer from the low temperature if left out for even one night. Cats may hide by automobile tires for warmth during cold days and it is important to start the engine for a few minutes before driving to warn such a sleeping animal. Veterinary Dermatologist & Practice Owner at Hastings Veterinary Clinic, Burnaby. October 1st to 7th is a very special week for our pets – it’s Animal Health Week! Sponsored by the Canadian Veterinary Medical Association, this week celebrates the wonder of the human-animal bond, which is the unique and wonderful relationship that exists between a pet and its owner – a relationship based on unconditional love. Many studies have already defined the healing power of this bond, especially in reducing stress and heart disease, and in providing critical emotional support for the elderly and infirm. Never judgmental, always forgiving, and possessing undying devotion and loyalty for their owners, pets truly provide us with a unique relationship that is hard to duplicate between people. Not only is the human-animal bond unique to every pet and owner, it is celebrated in unique ways as well. As a general rule, pet owners are far more forgiving of inadequacies or misbehavior in their pets than they are for their own friends and family members! And what do our pets ask for in return? Nothing but our companionship. So take a moment to rejoice in the human-animal bond that you share with your own pet and ensure that you are living up to your end of the bargain. Call your veterinarian to double-check that you have availed yourself of all of the preventative health measures your pet requires. Make sure that your pet is on a quality diet appropriate for his/her age and health care needs. Have your pet properly identified (i.e., tag and microchip) to ensure a speedy recovery should your pet become lost. And, finally (especially for dog owners) – grab the leash and watch your pet come alive. Go for a walk – it will do you both good! September is marked as Arthritis Awareness Month in our country. It is important to recognize that people, dogs, and cats suffer daily from this chronic painful, life-altering condition. We all know of a family member, colleague, or friend that suffers from arthritis. Similarly, we all likely know a pet that also suffers from arthritis. We may just not know the symptoms to watch for! Symptoms in dogs include stiffness of the gait, reluctance to jump on couches or run up and down stairs. Tiredness during walks, panting, pacing and shaking are other symptoms. Cats may show any of these symptoms as well, but also can demonstrate more subtle signs such as inappropriate defecation, over-grooming, matted hair coat, irritability, and vomiting to name a few signs. If your pet has been showing any of these symptoms, it is likely time to help his or her comfort levels by seeking your veterinarian’s advice. Similar to people, young pets may also be affected by arthritis. Irrespective of age, the quality of life of an arthritic pet can be immensely improved through early diagnosis and treatment. Pets with a history of injuries or previous surgery are more likely to develop signs of arthritis earlier in life. While osteoarthritis is not curable, it is generally manageable with anti-inflammatory medications, appropriate exercise (swimming is a better activity than running is), glucosamine, and other nutritional supplementation and appropriate bedding for the pet. Multimodal therapy is often desirable as the pet ages, as one single intervention will likely not work in the long haul. From a human perspective, a study in 2012 by the Arthritis Society found that one in three Canadians living with arthritis had to quit working as a result of their condition, making it one of the leading causes of long-term disability in the country. The disease costs the Canadian economy billions of dollars every year, both directly and indirectly in human healthcare costs and lost productivity. Let us educate ourselves and help spread awareness regarding arthritis in people and pets, and fight this chronic painful condition. Finding a tick anywhere on your pet makes for a bad day! Knowing how to keep your pet tick-free is great preventative pet care in that it keeps everyone safe from dangerous diseases transmitted by tick bites. You should also know what to do if your efforts fail and you find a tick attached to your pet’s skin. It is important to use the right safeguards, inspect your pet for ticks after he or she has been outdoors, and consult your veterinarian right away if one of these nasty little brutes latches on to them. Ticks are parasites that can be found in city parks, forest and meadow areas, and your own backyard. Many pet owners don’t take tick warnings seriously enough and rely on simple tick and flea collars to keep their pets safe, only to have their beloved pets infected with terrible diseases carried by a variety of ticks. Lyme disease, for example, is just as debilitating for pets as it is for people, and is becoming more and more widespread in BC. Other parasitic diseases, such as anaplasmosis, can be terrible, too, and the symptoms are often difficult to diagnose. Use good preventative measures to keep your pet safe, and see that your lawns, bushes, and trees are trimmed to reduce the tick population in your yard. Keeping your dog or cat indoors during the height of the tick season can help, and be sure and check your pets carefully for ticks after outdoor exercise or playtime. It’s difficult to get your pet to remain motionless—which they must be—while you do the job. If you leave any part of the tick behind, you must take your pet to a veterinarian to dig it out. Gloves must be worn for your own safety. If the insect is twisted or squeezed while being removed, reaction to the embedded tick parts can cause discomfort and infection. Play it safe and take your pet to a veterinarian for help. Work with your veterinarian to come up with the best kind of pet care plan to protect your little friend. Pets that live outside or are used to running free over large territories or that you take with you on camping trips in the wilds are more at risk from tick bites than homebodies. However, even a pet that is indoors most of the time can pick up a tick bite almost anywhere outside. Topical medication – Such products work very well but you must choose carefully and follow all directions faithfully. Many products such as Advantix and Revolution are available through veterinarians and pet stores; it is best to use a veterinary approved product. Ask your veterinarian for advice and assistance with these products as they vary in the spectrum of the ticks they cover. Your vet can help you determine what product is best suited to your pet based on their size, lifestyle, and so on. Oral medication – These products are safe and effective protection against ticks and fleas, and should be administered by your veterinarian. These are almost as effective as topical medication and are very useful for dogs who love water! Whether they are to be applied once a month depends on the product; most can be applied once a month such as Simparica and Nexgard, but there is a once-every-3-months product available called Bravecto. Again, consult your veterinarian on which oral products would best suit your pet. Tick shampoos – Medicated ingredients in a tick shampoo will kill ticks, but this is not the best plan for either your cat or dog because their effectiveness doesn’t last very long. The aforementioned products (topical and oral) are much better and safer preventative products. Keep your pet tick-free and safe with proven tick-bite preventative measures. Check them after they’ve been outdoor during the height of tick season and, if your pet has the misfortune to be bitten in spite of your efforts, get professional help to remove the horrible little disease-carrying pest. Creative Commons Attribution: Permission is granted to repost this article in its entirety with credit to the Hastings Veterinary Clinic and a clickable link back to this page. It’s summer! Now that it’s here, pet owners should bear in mind that dog flea control and cat flea control are still important and they should consult their veterinarian for advice about the best products. Some people are surprised to learn that flea protection is a good idea for the entire year and if you have let flea control slide during the spring months, hop to it! An adult flea has a dark brown hard shell and is about 2.5 millimeters in size. Fleas can be seen by the naked eye. Fleas don’t fly but can jump long distances and have claws on their legs that allow them to attach themselves to animals, people, carpets, etc. When fleas bite the skin and feed on the host’s blood, it causes mild to severe itching and may cause a dreaded allergy dermatitis in animals with sensitive skin. This type of allergy doesn’t go away even after the fleas have been removed, and requires special treatment. A large flea infestation can cause an animal to develop anemia, can cause hair loss and skin abrasions (usually from non-stop scratching), and fleas serve as hosts for tapeworms. Fleas can invade your entire home and yard and bite people as well, and it may take months to get rid of them if you don’t engage in a full-out cleaning assault. Some people who own both a cat and a dog may be tempted to use the same flea protection for both animals. Cats and dogs do not have the same physiologies and flea treatments not only affect them differently, but also some formulations for dogs can be toxic for cats. Your veterinarian will recommend the best products to control fleas for your pet, and you must be sure to follow the directions to the letter. Consult with your vet about your pet’s lifestyle in order to find the best-suited product—usually topical or oral—for them and for different time periods of coverage. Most products are used monthly. Keep an eye on your pets after flea treatments are applied to make sure there isn’t some unusual reaction, which could be drooling or loss of coordination. While this is very unlikely, it is better to be safe than sorry. If your pet already has fleas, the same product that provides future protection can also kill fleas. However, it won’t protect you from having to clean your house from top to bottom to rid your home of the nasty critters. If you live in a warm region—and Vancouver is usually really warm, neither too hot or too cold!—you will need to make sure your pet has flea protection all year round. Most fleas can survive if they find warm hosts such as cats and dogs. Their eggs can live in protected areas such as animal dens, crawl spaces, and porches, and will hatch in the warmth. Some pet owners prefer to avoid using chemicals on their pets constantly and fear it could be harmful. However, there has been a great deal of research demonstrating that veterinary-approved flea protection products such as topical solutions (Advantage, Revolution, etc.) and oral products (Bravecto, Sentinel, Program, etc.) are safe. Use our dog flea control and cat flea control tips, and consult your veterinarian for the most appropriate products for your pets. Follow directions for their use carefully, and may you never suffer the agony of having to rid your home of fleas. We hope you are enjoying the warm weather without fear of those pesky pests! Why Veterinary Professionals Do What They Do! What makes veterinary professionals take up pet care as a profession? Undoubtedly it is our passion and will to help animals in their time of need. The biggest benefit of this desire lends to the fact that compassion is not required to be taught during the training of a veterinary professional. The beauty of pet care also derives from the patient’s family being an extension of the veterinary team. In times of illness, aging, and even in good health, the family is essentially the at-home nursing staff of the veterinary community. Our pets are adorably expressive about a lot of things (ask any pet parent and hear their pets’ unique ability to express themselves), but when it comes to sharing what they ate off the floor, which alley cat may have fought with them, feeling a tooth ache, or nausea, the information is not always as forthcoming (nor as endearing!). Signs of chronic life affecting conditions such as allergies, gastric problems, arthritis, diminished eyesight & hearing, anxiety, and obesity are often subtle to start with. Over time, these signs slowly progress and without keen observation and routine monitoring of well-being, such symptoms can be easily missed. Do you know what the general symptoms associated with such illness might be? There is usually a big range of nonspecific signs associated with chronic conditions such as arthritic pain, anxiety, allergies, etc. As an example, when an older pet is pacing and vocalizing for no apparent reason; this may be due to a range of possibilities including spinal pain, loss of sensory functions (eyesight, hearing, etc. ), all due to anxiety related to changes in the environment, or even an old age illness. No pet owner or veterinarian can simply hear the description of the symptoms and make a diagnosis. To best help a pet with medical concerns and to diagnose illness early, the combination of a close bond between the pet and parent, clear communication between the parent and veterinary team, and a thorough evaluation of health as well as compassion towards the implications of potential illness are essential. While compassion is second nature to veterinary professionals (think veterinarians, vet technicians, office assistants, kennel attendants etc. ), it is best used while helping nurture improved pet parenting through loving pet owners. This is why the veterinary community is advising increased vet visits. Advertising campaigns on the role of nutrition, exercise, and monitoring pet health, as well as special events at vet clinics, are all geared towards improved pet parent education. After all, by bringing a pet into their family, pet owners are signing up to be an extension of the pet healthcare system. https://hastingsvet.com/wp-content/uploads/2017/08/Why-Veterinary-Professionals-Do-What-They-Do.jpg 492 640 Hastings Staff https://hastingsvet.com/wp-content/uploads/2016/05/logo.png Hastings Staff2017-08-15 11:31:302017-08-18 11:31:09Why Veterinary Professionals Do What They Do! Your pets’ eyes are one of the more sensitive organs, making eye care an essential part of pet care. Some awareness and monitoring goes a long way to ensure proper eye care and monitoring by pet parents. If there is any eye related discomfort, pets will typically rub their faces against carpet or furniture. They may even try to scratch/soothe themselves with their paws. This can be unsafe as the nails can traumatize the eyes or other facial structures. Like many other things, your pet depends on you to provide this important part of his or her well-being. Pet parents should perform a weekly health maintenance check up on their pets (more frequently for puppies and kittens) – during the routine evaluations, look for any redness or swelling in or around the eyes. If your pet squints or is abnormally sensitive, it may be an early indicator of a potential problem. If you notice green or yellow mucus discharge in excessive amounts, this would indicate towards an eye infection. Dogs and cats will get some “sleep” (normal physiological eye discharge) in their eyes routinely. Regularly checking the eyes will help you differentiate between what is normal and abnormal for your pet. Healthy eyes of dogs and cats are moist and clear. Dogs with long hair-coats can be prone to eye infections due to the hair irritating the cornea. Professional groomers are good at identifying the appropriate length of facial hair for dogs and their advice should be sought, if you cut your pets hair at home. Bathing can also lead to eye irritation if the shampoo comes in contact with the eyes. It is best to do wipe downs of the face carefully rather than splashing water or shampoo on the face when bathing pets. This should help prevent irritation to sensitive parts of the face including the eyes, nose and ears. Many dogs can get brownish stains below the inside corner of the eyes, especially the light-coloured breeds. There are several causes of the overflow of tears. Miniature dog breeds and Persian cats often have more prominent eyes. This stretches the eyelid and may cut off the drainage system. This is the most common cause and there is little we can do to correct it. Some animals are born with an abnormal drainage system that may or may not be surgically correctable. Sometimes, the eyelids turn inward and block the drainage. This is also surgically correctable. It is important to remember that while most of the staining due to tears is a cosmetic problem, it can get quite unsightly if not cared for. Your veterinarian should be able to advice you on appropriate treatments if the tear staining is considered due to other potential causes such as allergies, eyelid anatomy, or other irritation to the eyes. Annual health checkups by your veterinary team will ensure that more subtle changes to your pets’ eyes do not go unnoticed. Veterinarian at Hastings Veterinary Hospital, Burnaby.